Like colorful planters? Pottery as Art on Old Route 41 in Bonita Springs is for you. 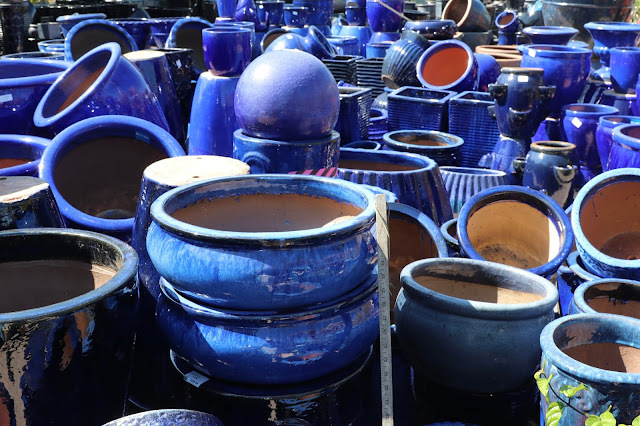 That is a LOT of pottery! I like the colourful ones particularly! Not sure if it's really art but it's certainly pottery. I have painted a few but we really shouldnt talk about that. That's quite a lot of pottery. I do seen some that I would be interested in. The blue ones are a gorgeous colour. I have two or three similar. I like planters and could probably use one or two but I think Bonita Springs is a bit far for the purpose.